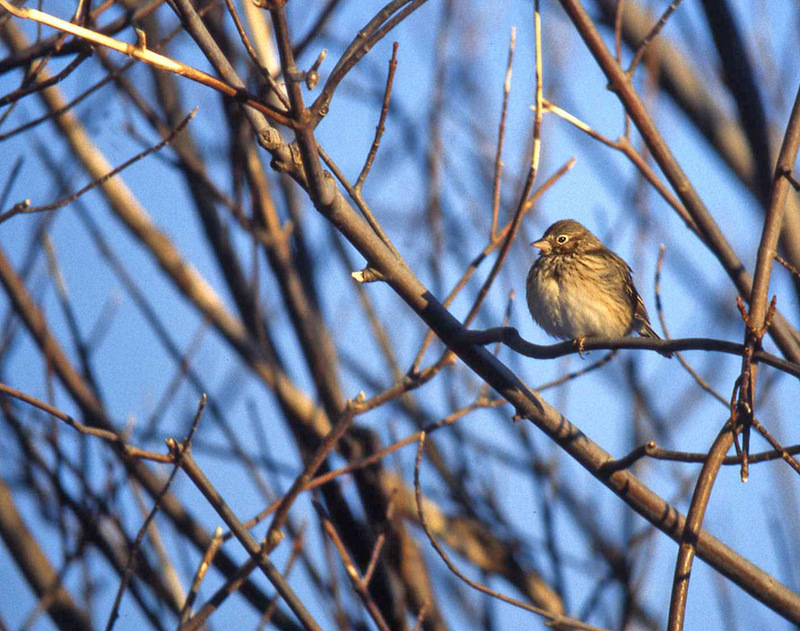 This Vesper Sparrow, discovered at a feeder in Renews during a Christmas Bird Count in December 2001, was the first (and somewhat overdue) record for Newfoundland. Origins: Possibly the closest naturally occurring migratory species to be recorded so few times here – it breeds widely across much of Canada and the United States, including the Maritime provinces. Record Details: Four records for Newfoundland: (1) Renews, December 29, 2001 – February 8, 2002; (2) Cape Spear, November 7-12, 2003; and (3) Cape Race, October 19, 2010. (4) Most recently, an individual was present at Cape Race, November 5-9, 2018. There have been a couple other unconfirmable reports.